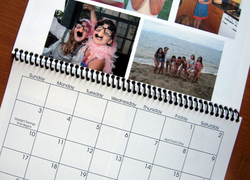 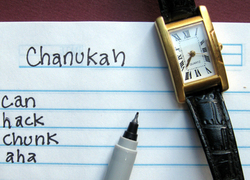 Check out these celebratory activities and make a menorah, dreidel, and so much more to celebrate Hanukkah and the Festival of Lights. 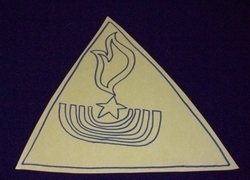 Invite your fourth grader to celebrate one of four holidays by creating a kid-friendly homemade Menorah, Advent Wreath, Kinara, or Diya! 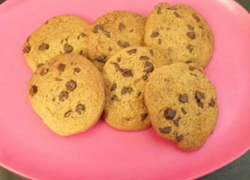 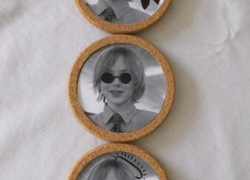 Bake these delicious Crisco Cookies with your child this holiday season to give as gifts to friends and family. 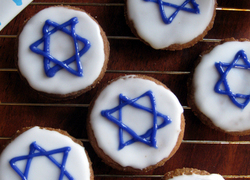 Bring the Star of David symbol to life by baking and decorating festive sugar cookies for Hanukkah! 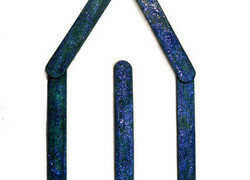 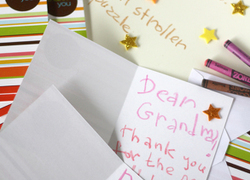 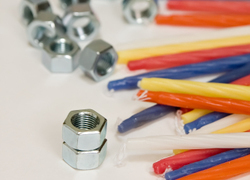 Help your first grader craft a magnetic menorah that he can safely "light" himself! 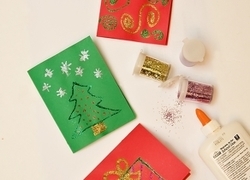 Make a Star of David ornament with your child this holiday season. 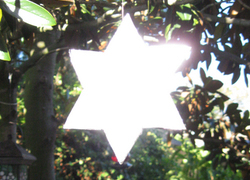 This Star of David ornament is a beautiful and inexpensive homemade gift for Hanukkah. 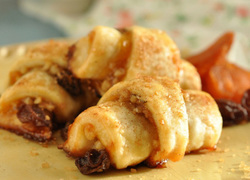 Bake these rugelach cookies with your child this Hanukkah to celebrate the holiday and help her practise important maths skills. 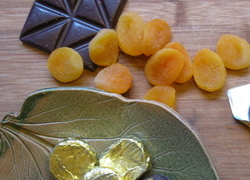 This chocolate gelt is the perfect Hanukkah treat. 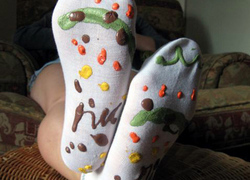 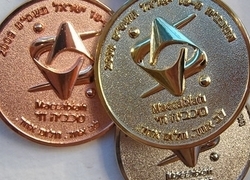 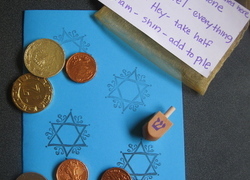 Chocolate gelt is used as a gift for children or in the classic Hanukkah game of Dreidel. 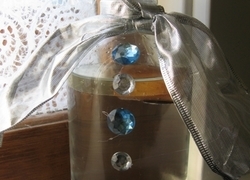 Make a shiny decorative Menorah using an egg carton and light bulbs. 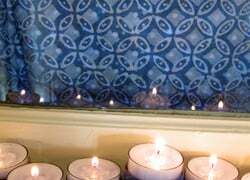 This DIY menorah will make a beautiful addition to your Hanukkah celebrations. 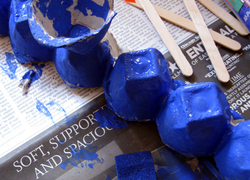 Make a DIY menorah with your child this winter. 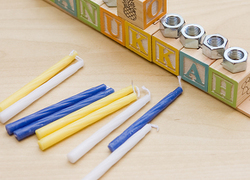 This children's menorah is a fun craft that lets your child celebrate Hanukkah while learning his ABCs. 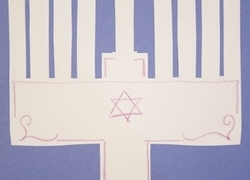 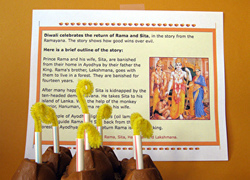 Make this children's menorah for the Festival of Lights. 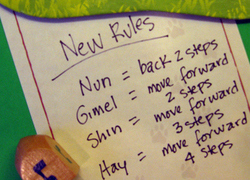 Chutes and Ladders... Hanukkah Style! 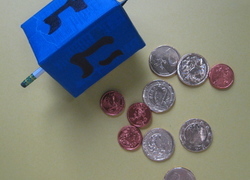 Add a Hannukah twist to Chutes and Ladders by using a dreidel as the dice. 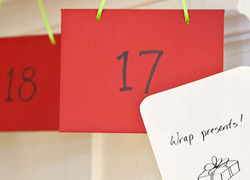 Your first grader will gain an understanding of time management as your holiday tasks become manageable, with this to-do list reinvented as an advent calendar!